SM Cares, is a division of SM Foundation Inc. that handles the corporate social responsibility programs of SM Prime Holdings, Inc. They have a wide range of activities from giving a voice to the under-represented sectors of our society, to preserving the environment and creating innovative but sustainable avenues of growth. Since Christmas is coming, SM Cares recently launch their annual SM Christmas Bears of Joy, in which one can have an opportunity to give, share and help children in need, especially by giving gifts (bears) to the less fortunate children. 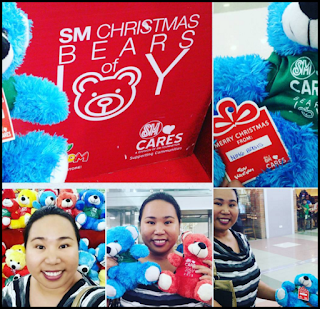 The next time you visit any SM Supermalls nationwide, just avail SM Christmas Bears of Joy at Toy Fair Booths from November until December 31, 2015. 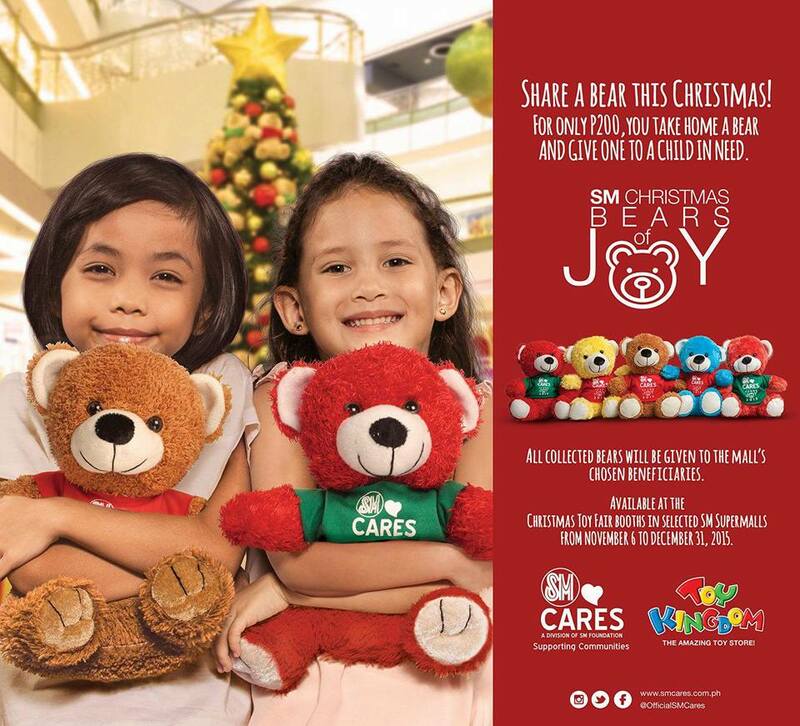 For only 200Php, you can get two bears, one for you and one for less privileged child this season. A bear you want to give or all collected bears will be given to the mall's chosen orphanage or charity organization. Christmas is truly a time for giving and sharing, give a smile to a child in need. So start from the time you visit any SM Supermalls nationwide today.